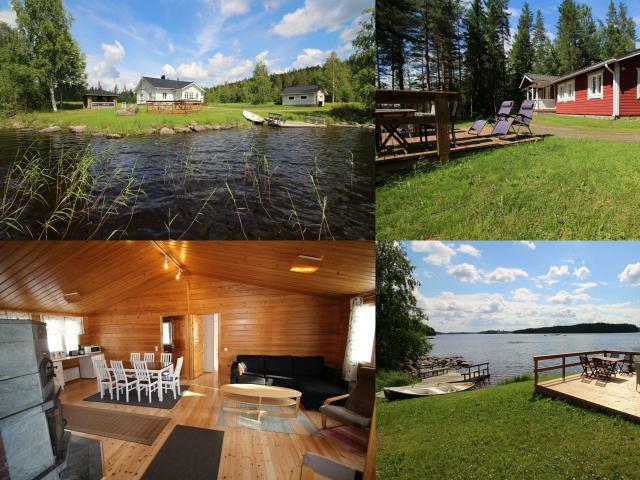 The Vaajasalmi Holiday Cottages are located in Leppävirta, Eastern Finland in Northern Savo. We're about 40km south of Kuopio and about 40km north of Varkaus. The cottages are on the southwestern shore of Oravilahti Bay, about 15-25m from the waterfront. The Oravikoski population center is about 2km away by water and 8km by road. Restaurants, spa and ski arena are about 20km away at Leppävirta.